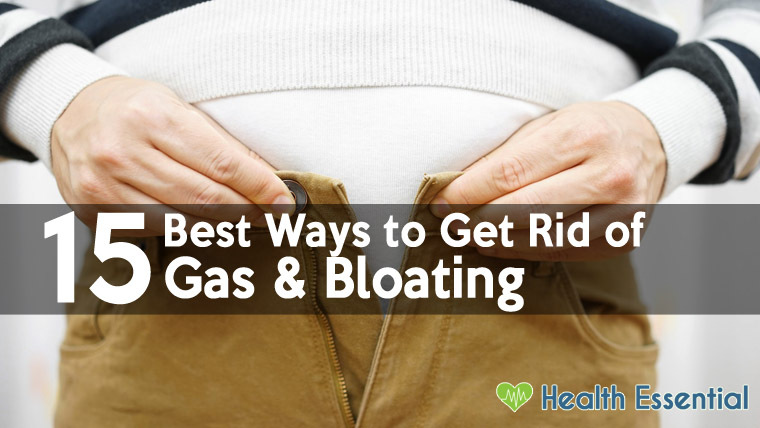 Every one of us experiences gas and bloating one time or another. However, with some people, gas is a huge source of the problem causing them much more inconvenience than others. However, there are definitely things that we can do about it. Just some minor changes and you can let gas and bloating a trouble of the past. So, let check out the best ways to getting tid of gas & bloating and you can find out easy ways say goodbye to excessive gas. What Cause Gas and Bloating? Food: Some kinds of food are more likely to lead to gas and bloating than others. The top gas-producing foods that you should avoid over-consumption are Cabbages, turnips, broccoli, onions, cauliflower, Brussels sprouts, processed food, etc. Eating and drinking habits: Eating and drinking too fast may lead you to swallowing too much excessive gas. Stress: When you are anxious, the digestive system may be negatively affected, making it unable to work properly. As a result of this, the food flow may not be smooth, protein may not be broken down and excessive gas and bloating are what comes. 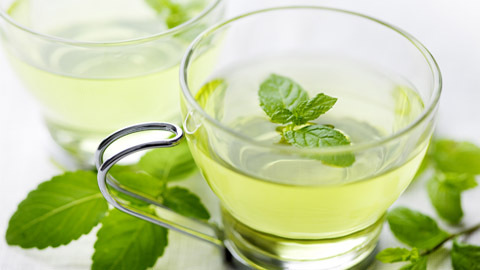 Peppermint tea is known to have positive effects on your digestive system. The relaxant and antispasmodic properties contained in peppermint help the flow of food and air through the digestive tract smoother. Moreover, it soothes your stomach and eases the pain. Peppermint tea or peppermint leaf ( it’s better to have leaves that are organically grown). Then, make them into a hot cup of tea. Take a sip and relax! Peppermint tea is, however, not recommended for pregnant women, children under very young age or those with heart disease. One or two cups a day is enough. Like peppermint, ginger tea is also a great way for a better digestive system. With ginger tea, saliva, bile and gastric juice production are stimulated. Therefore, if you have a big meal that is poorly digested, ginger tea is capable of reducing the potential for intestinal gas and flatulence resulting from that. If you already have bloating problems, the relaxant properties in ginger will come in handy and help to relieve gas stuck in your digestive system. Rub the ginger under warm water and slices it. Make ginger tea with hot water. You can add honey or lemon for better taste. Cover it all for around 5 minutes. Note: The best time to drink ginger tea is before or during having a big meal. This kind of herb is known dissipate the gas that causes your stomach to bloat. 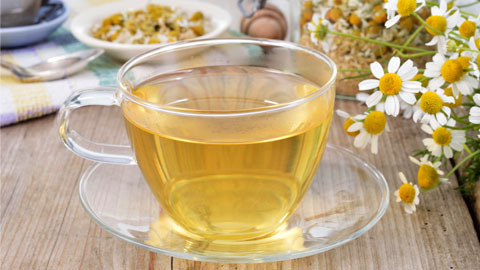 Aside from improving digestion, chamomile can also soothe and relax, which can help ease any sort of stomach discomfort. Add lemon or honey for better taste. Steep for 10 to 15 minutes and enjoy. Note: You should drink this tea 3 to 4 times a day during your meal. Anise seed can be effectively used as a digestive aid. With the properties in anise, the intestines muscles are relaxed and the excessive gas is relieved. What you need: 0.5 to 3 grams of anise seed a day. What you do: Chew the seeds or add them to your diet. Note: People allergic to mugwort pollen may experience allergy when using anise seeds. 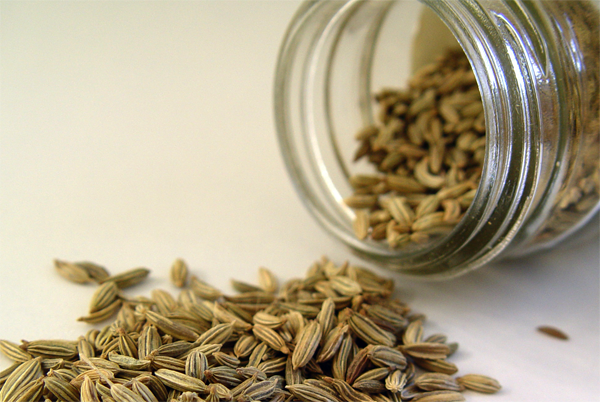 Fennel seed is one of the best treatments for gas problems. It contains anti-spasmodic, anti-bacterial, anti-microbial and anti-inflammatory properties and acts as a carminative, which means that it stimulates the functions of your digestive system and relieves excessive gas from your intestinal tract. Put ½ tablespoon of crushed seeds into a cup of boiling water. Note: You can also chew fennel seeds. You can drink tea or chew seeds whenever you feel discomfort because of the gas. You can also do so after eating. The unwanted flatulence causing by excessive gas may lead you to embarrassment. Thus, you should eating pumpkin as it helps you to prevent that humiliating thing. Potassium contained in pumpkin is known for having the ability of relieving the discomfort stemming from gas or bloating. What you need: Pumpkins, of course! What you do: Steam 2 or 3 pieces, add a little salt to taste and enjoy. Alternatively, you can bake it or broil it, whichever way you like! 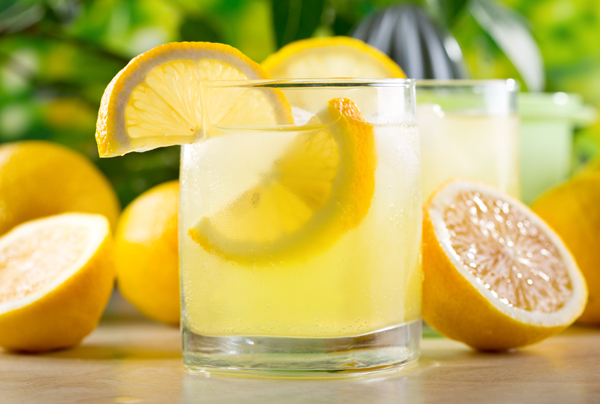 The acidity in lemon helps with accelerating the food digestion. And when food is broken down more efficiently, there will be less gas and bloating. What you do:Squeeze lemon into the warm water and drink the whole glass. Note: Drink it in the morning, when your stomach is empty. Baking soda can neutralize the acid and, thus, gives you relief from the discomfort of gas or bloating. Plus, baking soda is very common kitchen stuff. Such an easy and fast treatment, isn’t it? What you do: Dissolve half a tablespoon of baking soda into a cup of warm water, add a little lemon juice and drink it. 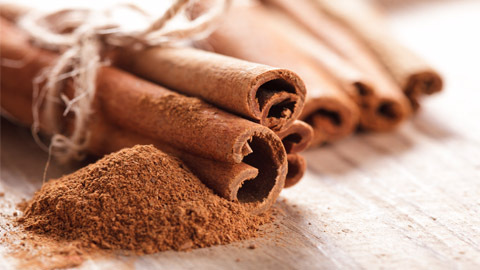 Instant relief is what you can expect from cinnamon as it soothes your stomach as well as helps with proper digestion. What you do: Get a cup of warm whey or soy milk then add to it ½ tablespoon of cinnamon and some honey. Note: It is better to let it steep for like 5 minutes then reheat it to drink. 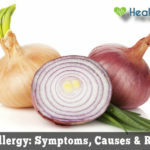 Though it feels quite stinky to chew raw garlic, it is actually good for your digestion. Garlic is an antifugal, antiviral and antibacterial kind of food that can help breaking down food more effectively and eventually reduce gas. What you do: Chew it before your meals. 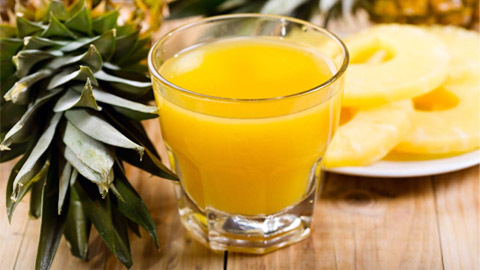 The enzyme in pineapple called Bromelain can aid digestion by breaking down food in your stomach. 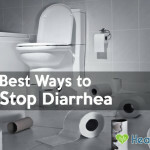 Eventually, it helps relieve bloating. What you need: Pineapple either fresh, canned or juice. What you do: Drink juice during meals or eat pineapple as desert both works. Alternatively, you can take Bromelain supplements. Do not exceed 240 milligrams of raw bromelain per day. It is not recommended for some people such as pregnant women, breastfeeding mothers, or those with liver or kidney problem. The good bacteria in yogurt help a lot in promoting gut bacteria gut balance. 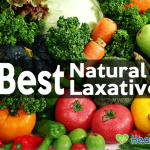 Thus, it reduce the gas and eventually leads to a proper digestion problem. What you need: It is best to consume plain yogurt. What you do: Eat it plain or add fresh fruits. Drinking water the right way can help a lot. You should drink enough water during your meals and throughout the day. However, remember to sip not to gulp as it may cause excess air to enter your stomach. Yoga can aid in enhancing your food flow to the tract and therefore get rid of the stuck food. Plus, when practicing yoga, the internal organs are massaged so that they can work more effectively to avoid gas and bloating. Note: Not all positions are suitable for your gas problems. Remember to practice while your stomach is empty. Read: Simple Yoga Poses for Constipation. As you may swallow excess air when you eat, you should make sure you do not eat too fast. Do not forget to avoid food that often lead to gas and bloating for example processed food or fruits and vegetables like bananas, potatoes, peaches, etc. Above are how to get rid of gas & bloating in a fast and natural way. They are all very easy to do and you may notice the improvement quite soon. However, if the symptoms last for too long and you experience pain, it is always better to pay your doctor a visit.